Slight rain chances, highs in the mid-80s. Saturday started off breezy, with some clouds and rain making their way over South Florida. 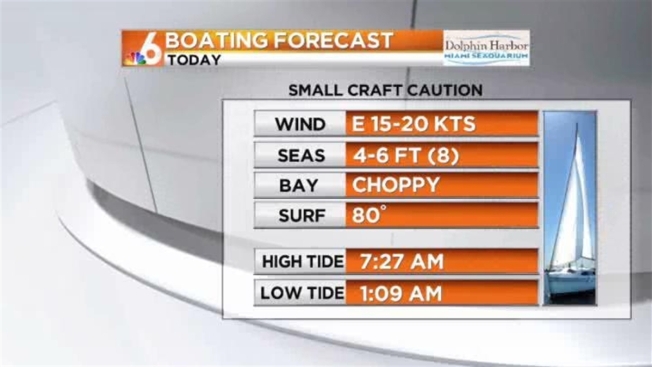 There is a rip current risk on area beaches with choppy waters on the bay, so boaters are urged to exercise caution. Saturday night holds only a slight chance of rain, with temperatures in the mid-70s. Slight rain chances will continue into Sunday, with highs at 85 and lows at 75. A cold front will roll in Tuesday, bringing an increase of showers and clouds throughout the first half of the week, but cooler temperatures and drier air by Thursday.